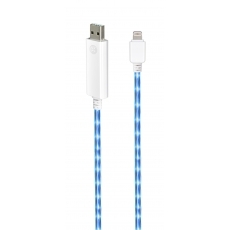 Cavi Lightning USB per iPad mini. 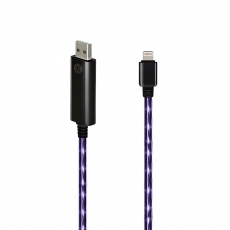 Dexim Visible Green Cavo Lightning Nero con Luce Viola. Dexim Visible Green Cavo Lightning Bianco con Luce Azzurra. Dexim Visible Green Cavo Lightning Nero con Luce Blu. 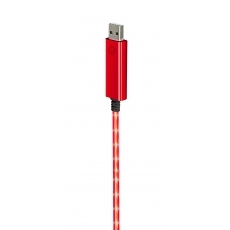 Dexim Visible Green Cavo Lightning Rosso con Luce Rossa.